Would you prefer a white nursing bra that will give you excellent shape and support? 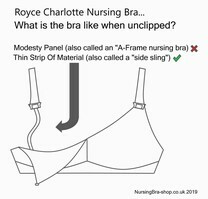 A good option could be the Royce Charlotte Spot Mesh nursing bra. This breastfeeding bra comes in a wide range of sizes from 28-40 DD-K cups, so you should be able to get a really nice fit. How about the style of this nursing bra? Well, if you are looking for something with some pretty detailing then we think you will love the delicate mesh trim and spot detailing. How will it feel when you are wearing it? We think you will love how comfortable this bra is thanks to the cotton lining next to your skin. It also has cotton polyamide laminated fabric which should give you extra support. The 4-eye adjustment means you should get a comfortable and flexible fit. What makes this such a good nursing bra? Well, breastfeeding advisors suggest you should avoid underwires during your nursing months, so you will be pleased to know that this bra is wirefree. And when you come to feed your baby, you will love how easy it is to open thanks to the drop cup clip. We also think you will like the retainer strap which will keep your shoulder strap in place whilst you are breastfeeding. 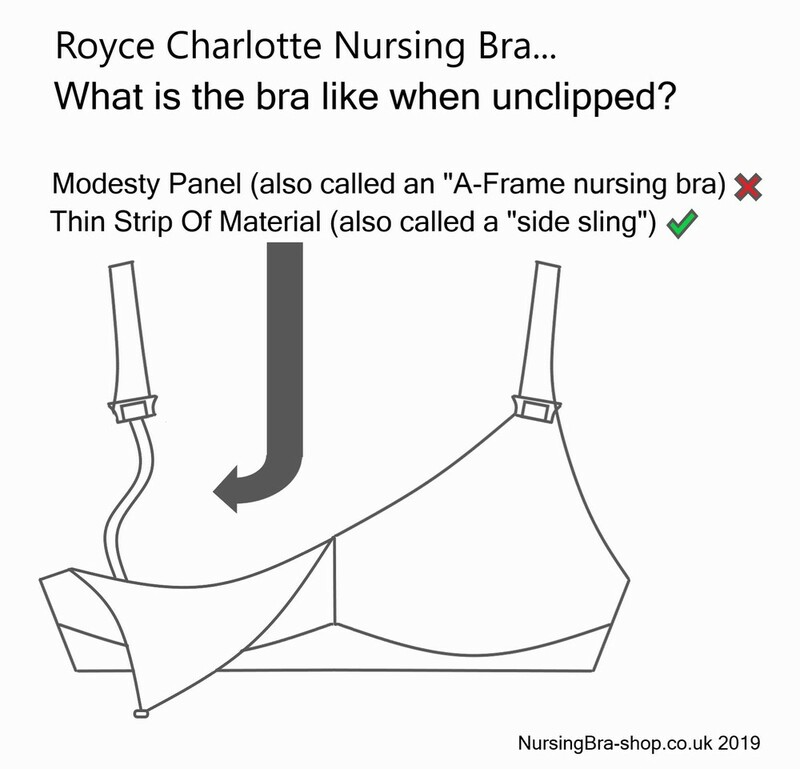 So why do we think you should choose the Royce Charlotte white nursing bra? Well, it will give you firm support and a great shape. It is also really comfortable and has some nice, pretty detailing.